While Tesla impressed the motoring world just a couple of weeks ago with its very quick and very efficient battery swapping technology, it seems this is not enough for the company in the longer term. Tesla is in the process of creating a number of supercharger stations to fulfil the charging requirements of its growing customer base and has plans to reduce recharging times to between 5 minutes and 10 minutes. When you bear in mind that current recharging times at the top of the league table are around 30 minutes, a move towards 10 minutes would certainly be a major shift change. So why is Tesla so confident and what is holding back the industry today? 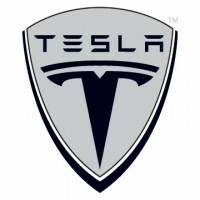 While many companies complain of "technical difficulties", when in fact their service or their product is inferior, the same cannot be said of Tesla. The company has a growing customer base, a reputation few in the industry could even dream of and continues to push the boundaries of technology and understanding. The technical difficulties which have been discussed in relation to the recharging sector centre round the need to ensure that the battery is not "cooked" with super fast charging systems. The type of system required to ensure that the battery is safe and fully efficient going forward will not appear overnight but only a decade ago we were talking about hours rather than minutes with regards to recharging times. There are few who follow Tesla that do not believe the company will make it to the promised land of 10 minutes recharging times, but when that will occur remains to be seen. What impact will this have on the industry as a whole? While historically electric car companies have kept their own technology and systems to themselves, having invested significant amounts of time and money, a number of licensing arrangements have emerged in the electric car industry of late. This will ensure that there is maximum take-up of the latest technology, funding is made available for future development and the wider public have access to the latest technology as soon as possible. Indeed this particular avenue is perfectly reflected in the ongoing arrangement between Tesla and the Toyota RAV4 which uses the Tesla drivetrain system. This is perhaps not as well known in the industry and the motoring world as it should be but it is a perfect example of how two companies, in effect competitors, are able to work together for the better of the industry and their own operations. Why is Tesla so far ahead? Many people are now starting to ask the questions, why is Tesla so far ahead and, why does the company appear able to maintain this lead over its competitors? Despite the fact that companies such as Better Place, a battery swapping service, fell by the wayside, Tesla was able to introduce its very own technology which has so far impressed many. The company also continues to push the boundaries with regards to electric car journey capacity and indeed the promise of an affordable popular electric car within four years has certainly caught the imagination of the motoring public. Tesla continues to push the boundaries of the industry, the company is determined to work on a level playing field with traditional fuel powered vehicles and is not afraid of high-profile fights with authority.